Apologies for the brief hiatus – I have been caught in the craziness that is moving. God, I forgot how hard, exhausting, and time consuming moving is. 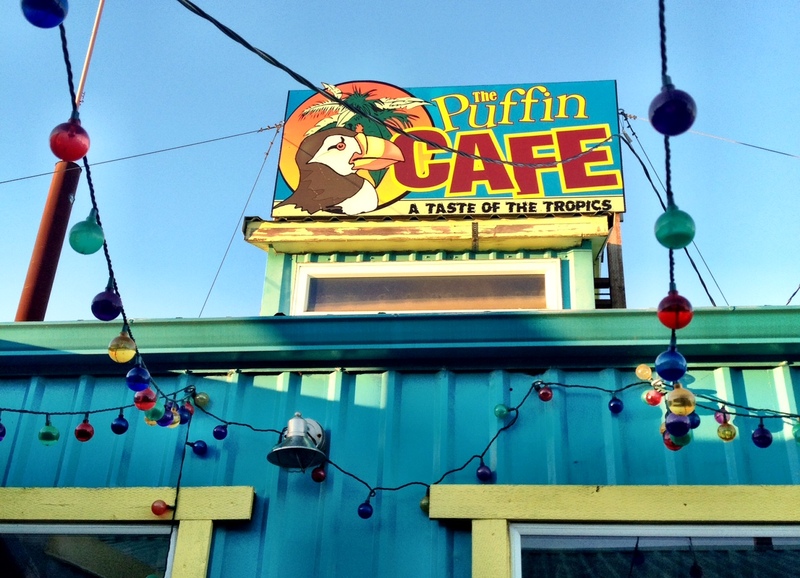 Thankfully, we have an awesome and very unique happy hour spot close to our new place – The Puffin Cafe. 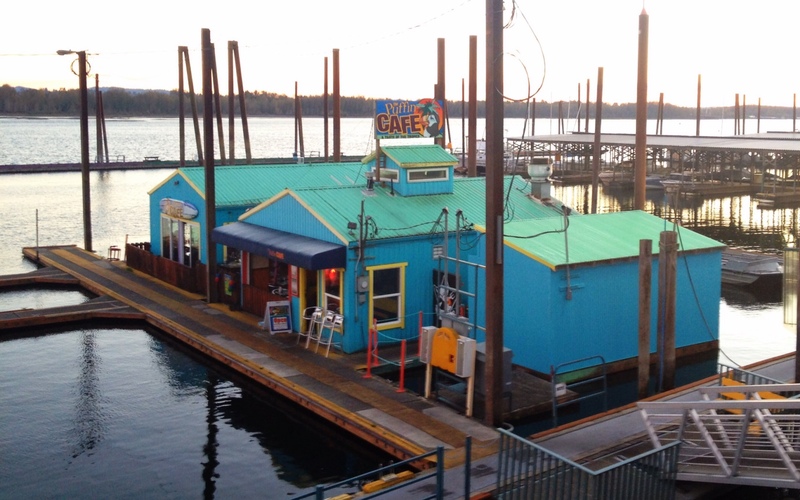 The place is literally floating on the Columbia River – I have been to many restaurants on the waterfront, but nothing quite like this. 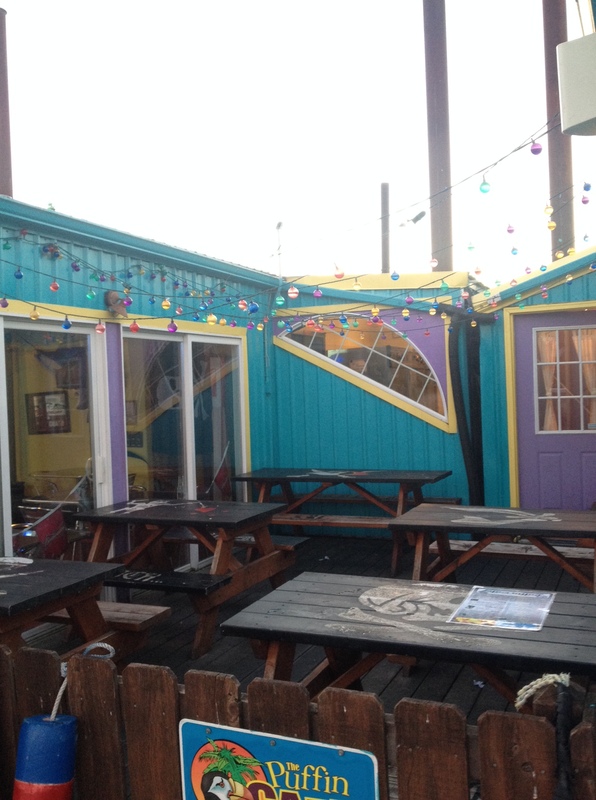 As you are sitting there you will suddenly feel the restaurant move and lurch around…probably not always the best thing when people are drinking $5 margaritas, but damn it sure is fun! Even more fun if you own a boat and can park it right out front! 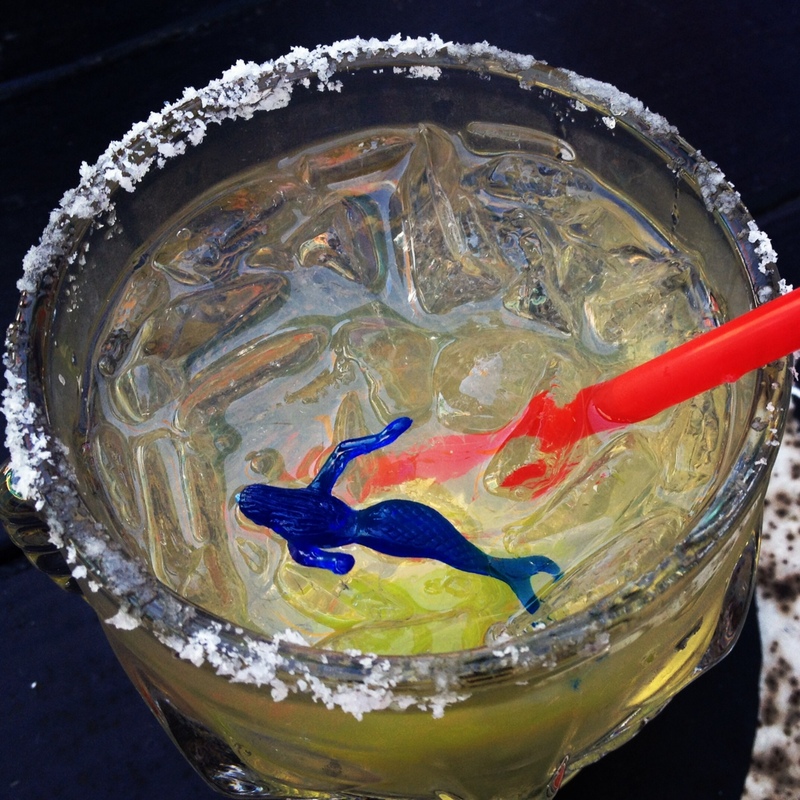 We showed up to happy hour after a particularly rough day of moving, but this margarita with the fun mermaid cheered me right up! 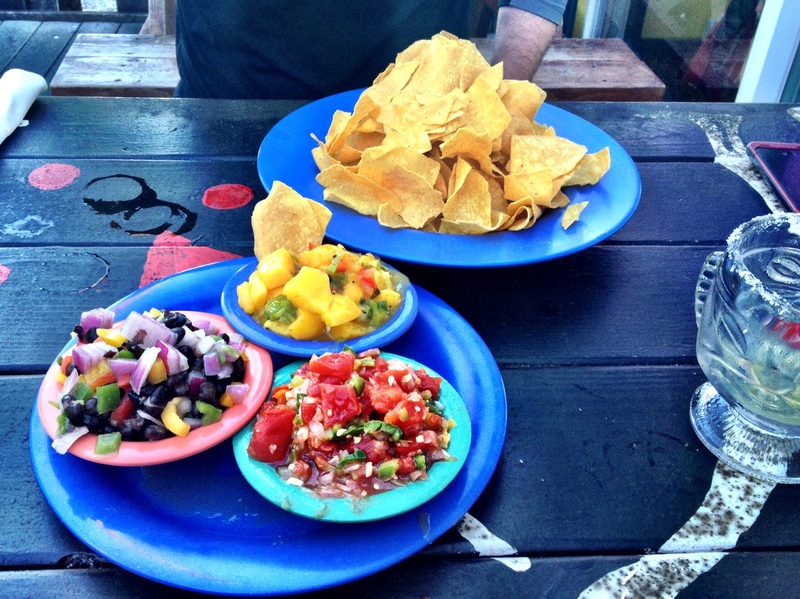 We also enjoyed some good grub… A chips and salsa trio – from left – black bean, mango, and house salsa. 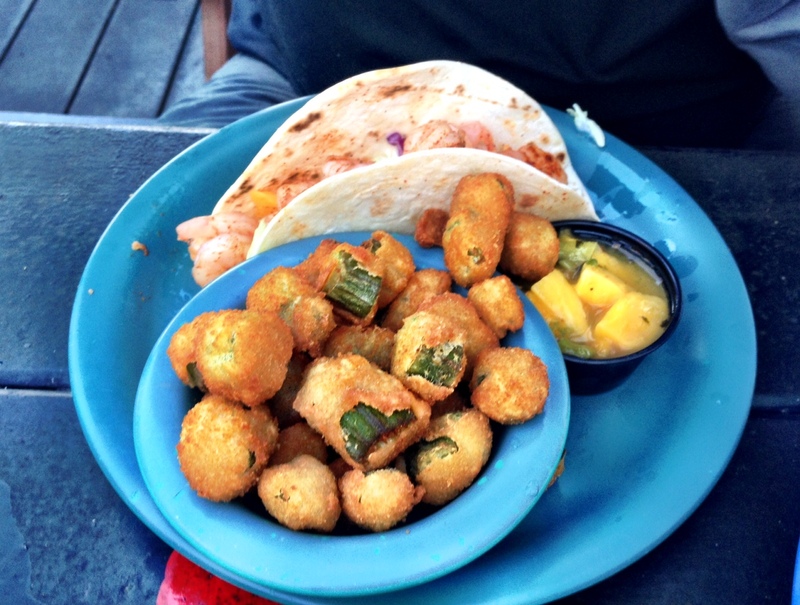 Jerk Chicken Sandwich and Waffle Fries… And last but not least Shrimp Tacos with Fried Okra. This is a super fun place to visit on a beautiful day! I was amazed we sat outside on a slightly brisk but beautiful October evening. 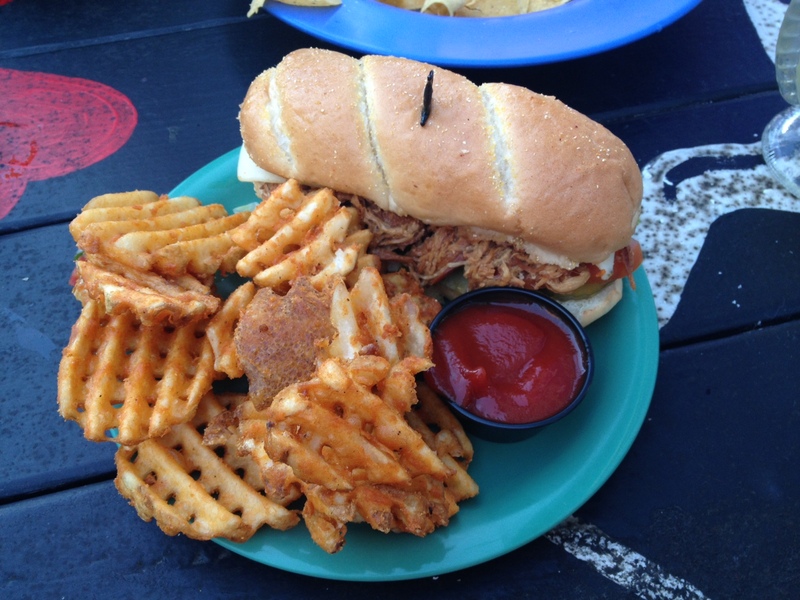 Above is your view of Mt. Hood. Below was my view from where I sat. 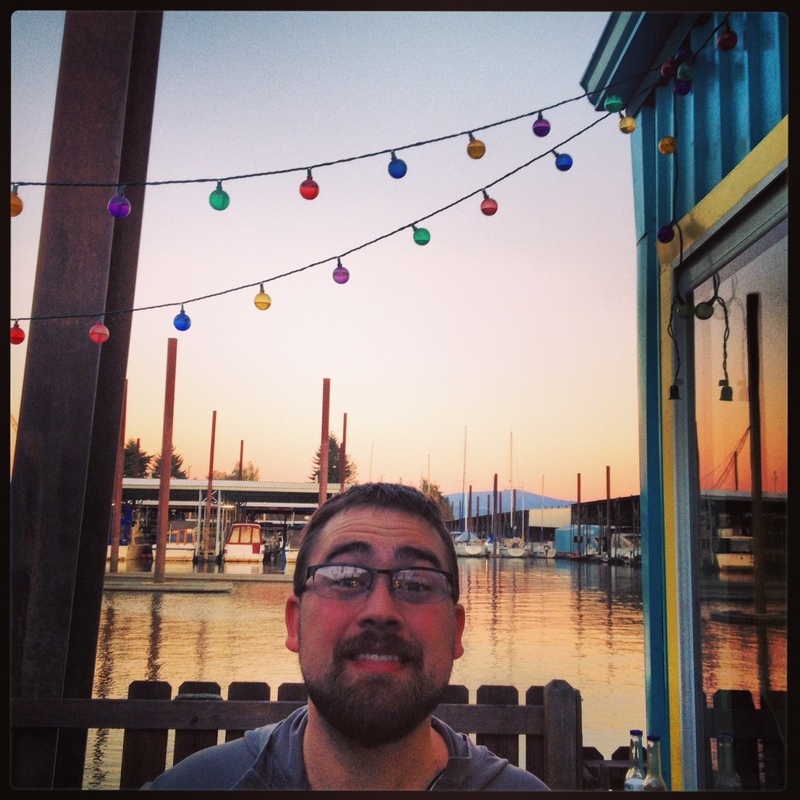 Doofy husband, margarita in hand, and a sunset to match…Cheers to our new neighborhood joint!